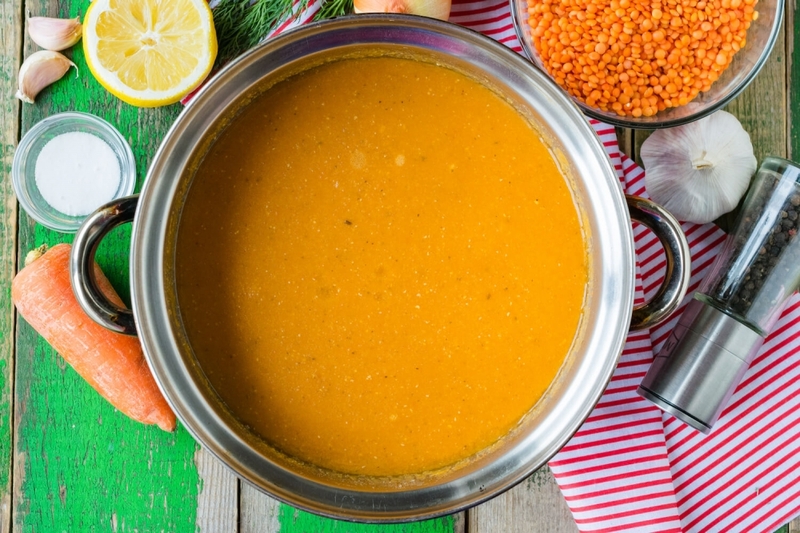 Thanks to the high content of protein in bean nourishing and healthy red lentil creamy soup will charge you with energy for the whole day. 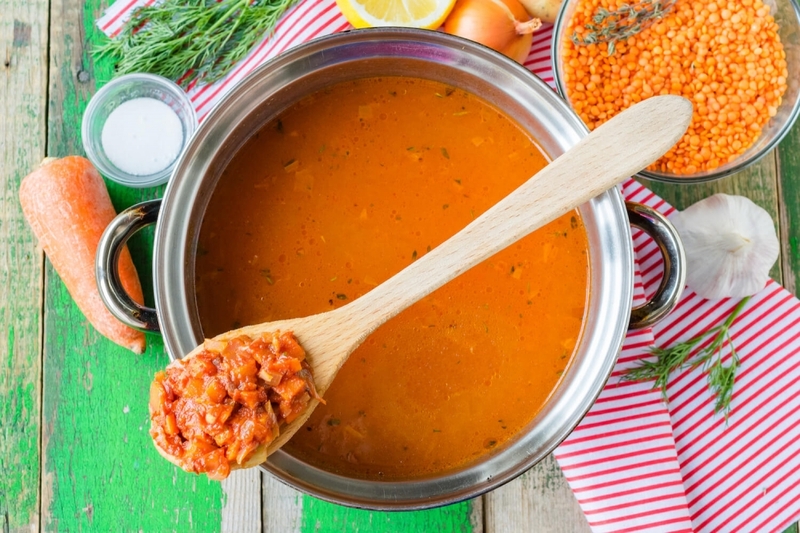 To add to a dish a special juicy note we will cook soup with addition of large quantity of seasonings. They will help to change a usual family lunch into the real festival of taste and aroma. 1. 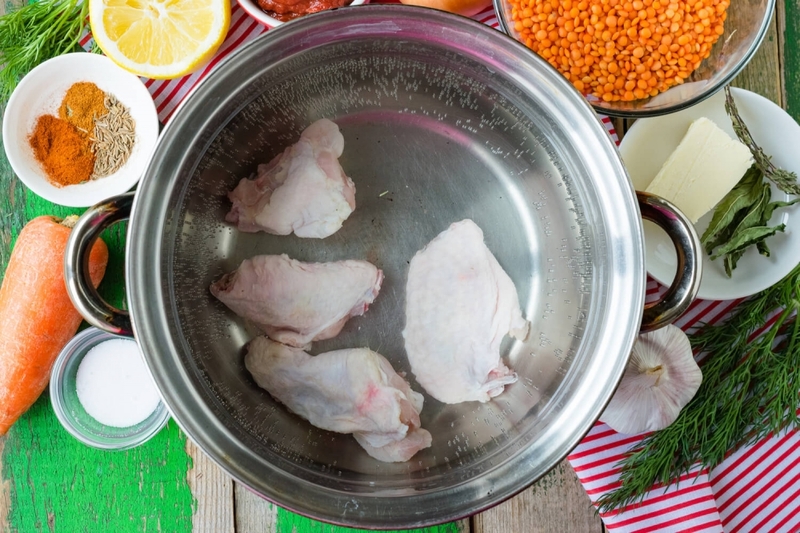 Wash chicken wings and a back, shift in a pan and fill in with cold water. Cover a pan with lid, put it on fire and bring water to boiling. Lower cooking power to a minimum, boil thoroughly chicken broth for 30 minutes then remove pieces of chicken from a pan. 2. Put in ready chicken broth carefully washed out lentil. Cook bean on slow fire for 20 minutes. 3. 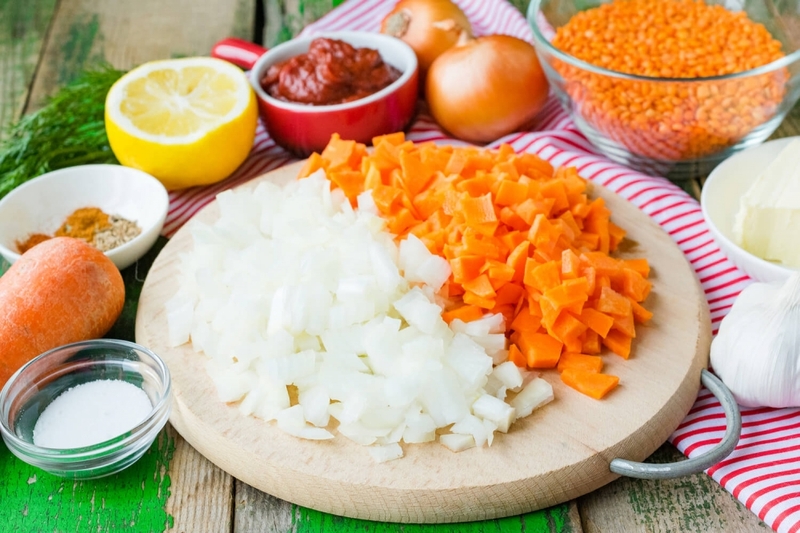 While lentil is cooking, let’s prepare vegetables. Peel and cut into cubes onion and carrot. 4. Melt butter on a frying pan. 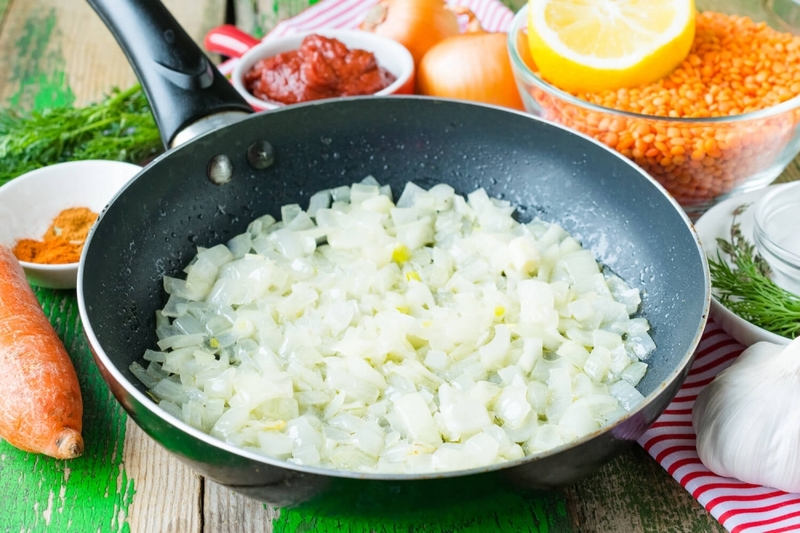 Lay out cut onion on a frying pan. Stirring slowly, fry until light golden shade. 5. Next add carrot to onion. 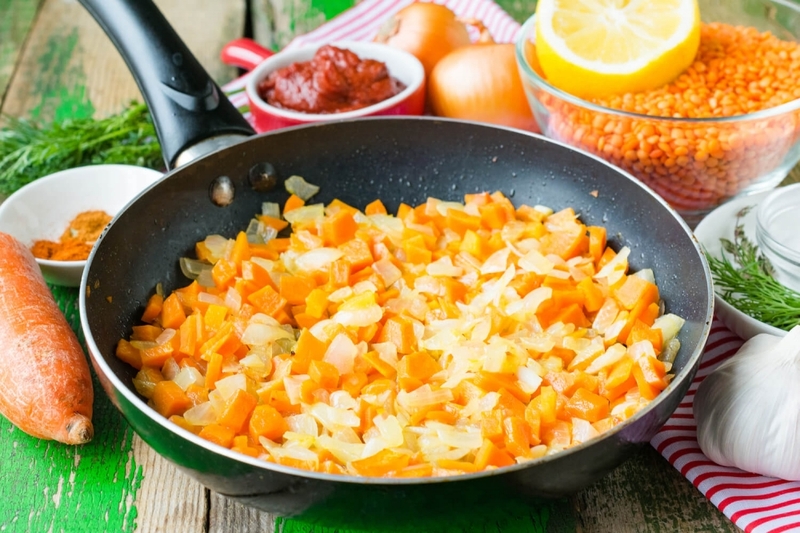 Mix and continue to fry ingredients for 5 minutes more. 6. 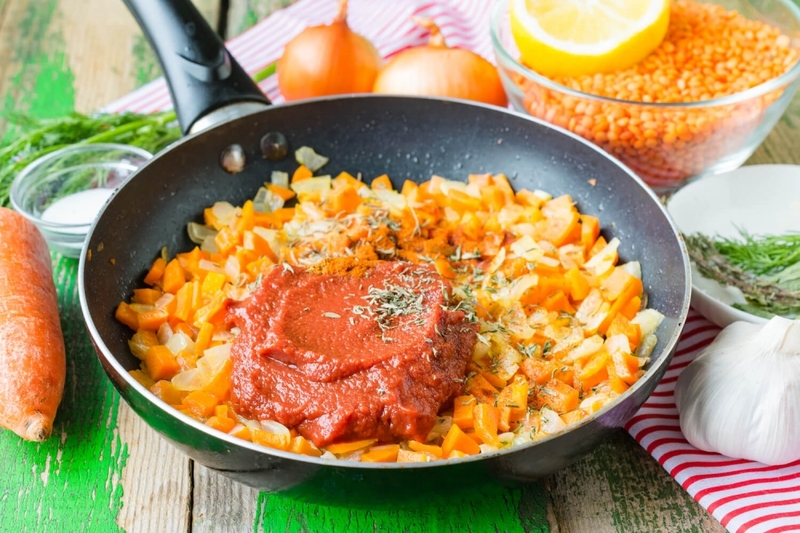 Then add tomato paste and seasonings to fried vegetables. Mix ingredients and continue to cook them on slow fire for 2-3 minutes more. 7. When lentil is ready and becomes soft. Add to the soup fried with tomato paste and seasonings vegetables. For aroma add pressed garlic clove. 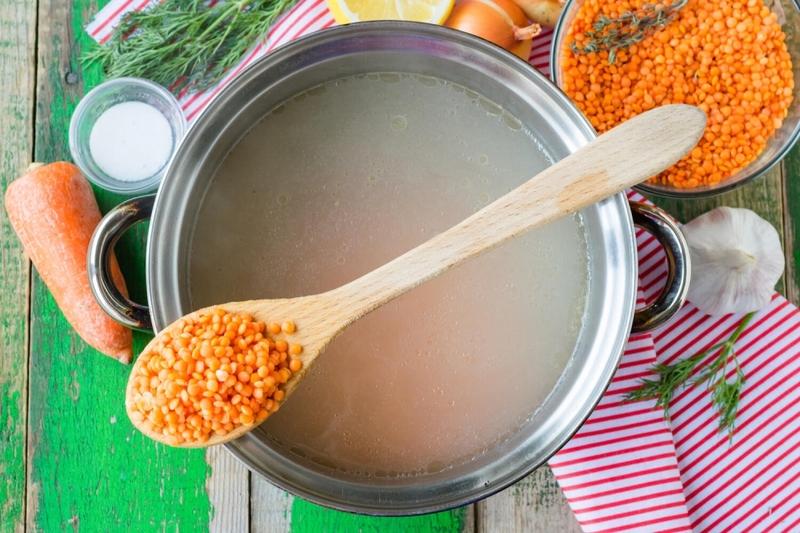 Boil lentil soup on a slow fire for 5 minutes more. 8. 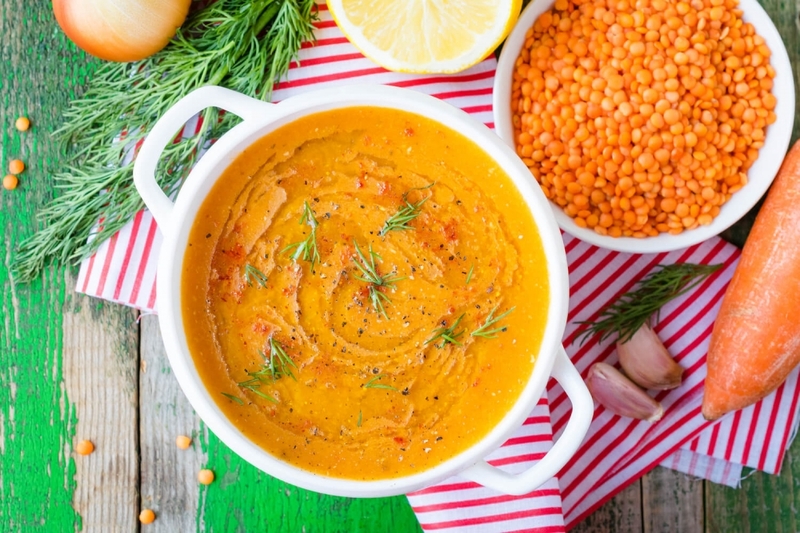 After that, mix everything with a blender into creamy soup, achieving a homogeneous and smooth texture. 9. 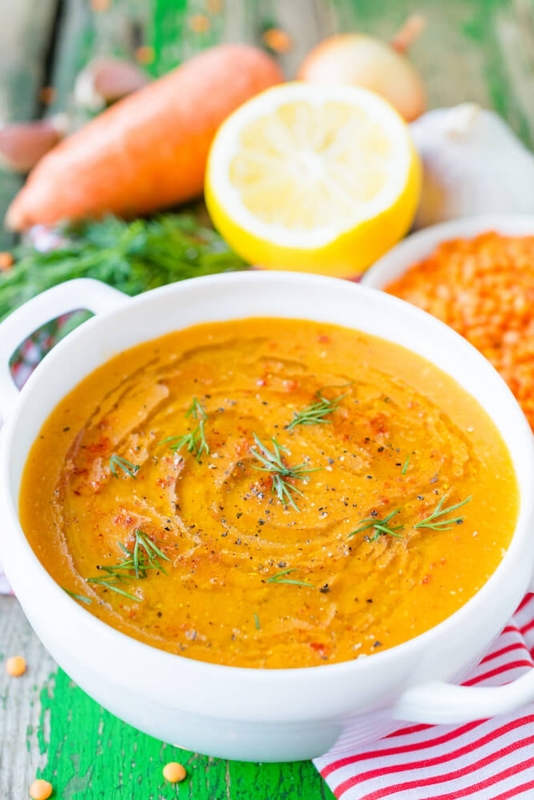 Bring to a boil red lentil creamy soup and turn off the fire. Pour ready-made dish into portion plates or soup mugs. Add to every portion a small amount of lemon juice and olive oil. 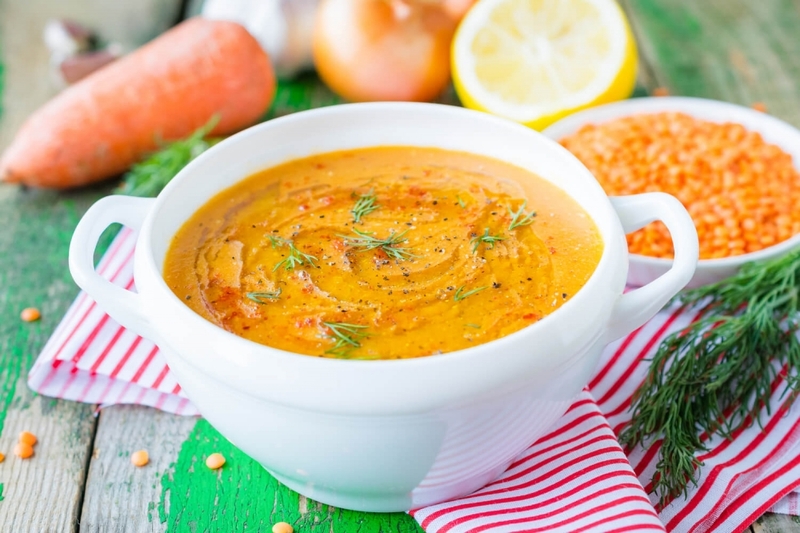 Decorate creamy soup with ground paprika, fresh ground black pepper and stems of fresh dill.